Selling a Berlin Property - Should you sell now? This is an article I wrote some weeks ago for the Sunday Business Post on selling a Berlin Property. As you can’t access it online unless you’re a Business Post subscriber I’ve been asked if I would put it on my own site, so here it is. Following the fall of the Berlin Wall in 1989 expectations for the city were sky high. As it turns out they were far too high. A lot of new property was built, very quickly and very expensively. A perceived ‘swift integration’ of East Germany and Berlin taking its rightful place as Germany’s capital was to fuel a huge expansion. It was expected that all major German corporate entities would want Berlin offices and housing would be needed for the incoming throngs of employees. The city’s population was projected to swell to more than 5 million by 2010. The ensuing reality was very different. German companies were perfectly happy where they had always been, Berlin was largely ignored by corporate Germany. The reality of the huge cost of integration began to become apparent and soon took its toll. The country slumped into economic malaise and East Germans flocked into the west for jobs, not to Berlin. The population of Berlin, now at around 3.47 million, is much the same as it was in 1993. In 2006 long term vacancy rates in central Berlin were almost 9%, in other areas rates of 6 to 7% were quite common. Property prices had slumped hugely following the initial euphoria of reunification. Enter property investors with an eye for a bargain. Foreign private investors started buying in Berlin in 2004, with Irish interest picking up during 2005. Berlin was unusual for Irish investors at the time. It was not a holiday home market, there was nothing off-plan and capital growth potential based on historic performance was virtually nil. The attractions were a strong mature economy in one of Europe’s main cities in which 87% of the population rented. Low property prices meant that, while rents were very affordable, they still provided a strong yield. Rental income would cover interest and capital over a 20 year term, so you could borrow against the asset and realistically expect a positive return. Because of the city’s history, the cost base for both rents and capital values was significantly below other major cities in Germany. But Berlin was the German capital and the largest city by far, having twice the population of its second city, Hamburg. German banks were also offering cheap finance at up to 70% LTV. The majority of investors fixed their German mortgages for 10 years, it tied in with tax regulations. If sold before 10 years profit incurs German income tax. After 10 years there is no German tax. For Irish buyers CGT is still payable at home, but many Irish owners in Germany are now arriving at a position where they are exiting a fixed loan term and can sell without a penal German tax rate. A peculiarity of the German system is that the buyer pays all costs. When selling there are pretty much no costs involved. 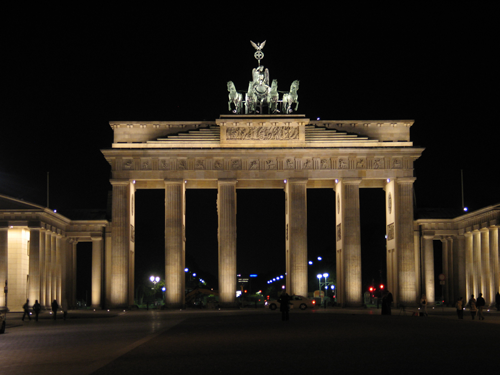 Many Irish individuals, syndicates and property funds invested in Berlin during this period. Not all were successful, banks were particularly prone to picking the wrong product in the wrong areas. Banks can only charge fees on invested funds so the quality of investments often took a hit to achieve these fees. Most of these funds were liquidated along with the investors’ capital. On the other hand, discerning buyers have been well rewarded. Those who actually took time to look closely at Berlin’s market, choosing areas that would likely benefit from any pick-up when it arrived, have over-achieved. Rents and capital values are still rising quickly. Prices are rising faster rate than rents, leading to falling yields. Prices in Charlottenburg and Wilmersdorf now range about €2,410 per sq. m. compared to around €1,200 per sq. m. in 2005. Increases have been even more spectacular in lower cost ‘up and coming’ areas such as Kreuzberg and Neukölln, with prices almost quadrupling. Selling a Berlin Property – Is now a good time to consider a sale? Unemployment in the city has fallen from a high of 19 % in 2005 to 10 % last year. The population has increased by more than 40k. per year over the past three years. Tourist numbers are growing and economic growth of 2.2 % in 2015 was again above the German average and expected to continue. During the economic downturn the German system didn’t implode like Ireland and others. German banks, considered a safe haven, actually prospered as money flowed in from weaker economies. As the Euro weakened Germany’s exports became more competitive, increasing its stability. It could be that now is a good time to move on. The planets are aligning for a cadre of investors in the city who may well not be able to resist the temptation to cash in on what has been one of the most successful markets for foreign investors over the past decade. If you are contemplating selling a Berlin property I have contact with a company currently looking for property to sell in Berlin, Dresden and Leipzig. It offers a free valuation service through its Berlin office. Drop me a line on info@diarmaidcondon.com.